← A small town garden in December. 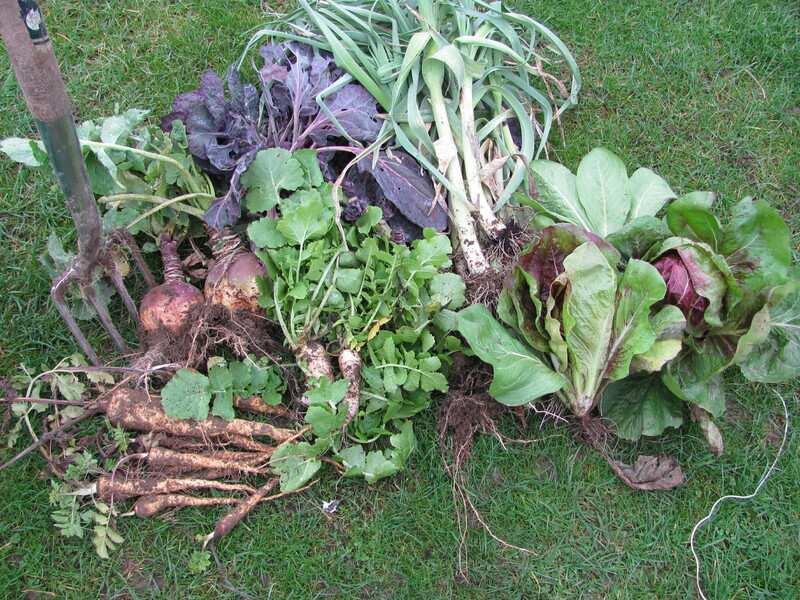 What better thing for a gardener to do on the shortest day of the year than to harvest home-grown produce!! Today we harvested our Charlotte potatoes that we have been growing in potato bags, planted in early September and moved into the cool unheated end of the greenhouse when the temperatures dropped. 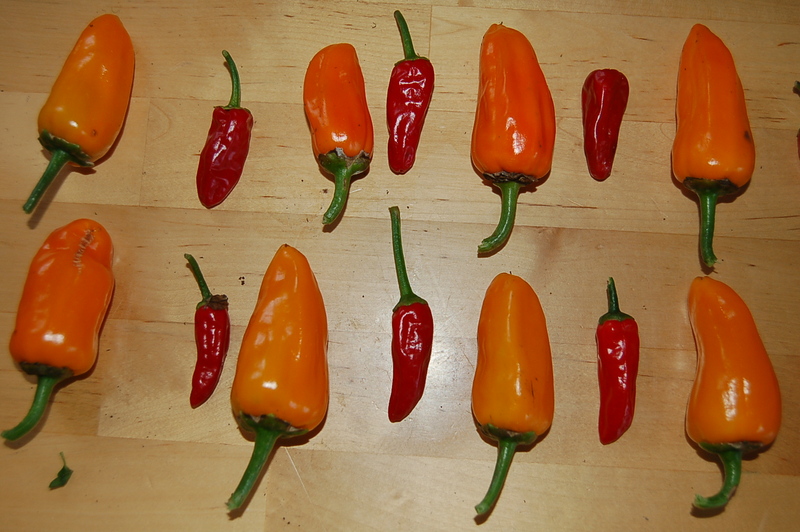 We also had the privilege of cutting the last of our chillies and capsicums also growing in the greenhouse following the same regime as for the potatoes. 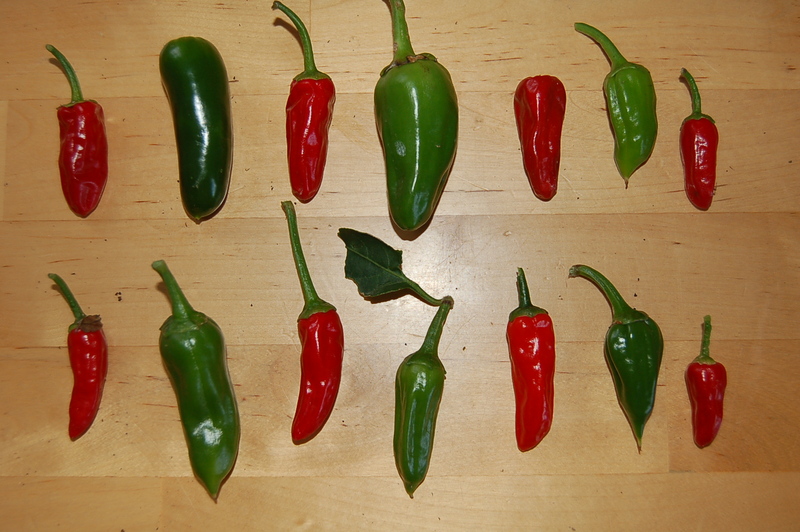 The capsicums were pretty small and still green but the chillies were large and brightly coloured. 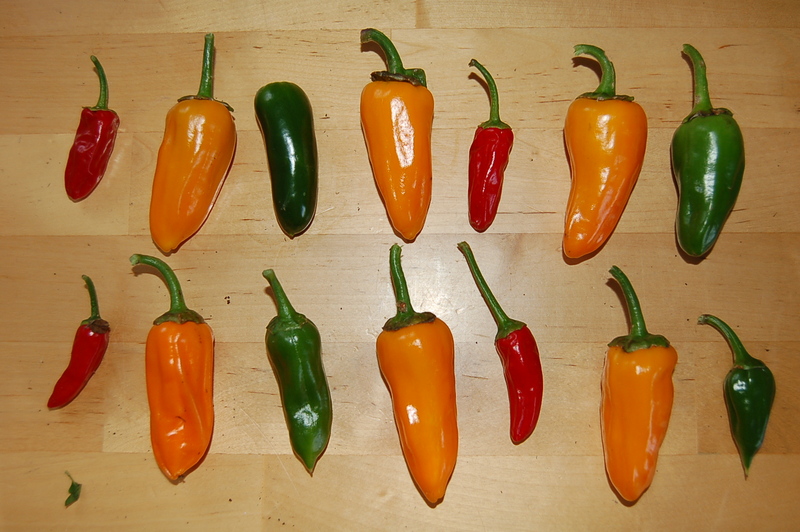 We have been using them straight from the plants for months now but night-time temperatures have made the plants look as if they are exhausted or fed up of the cold. 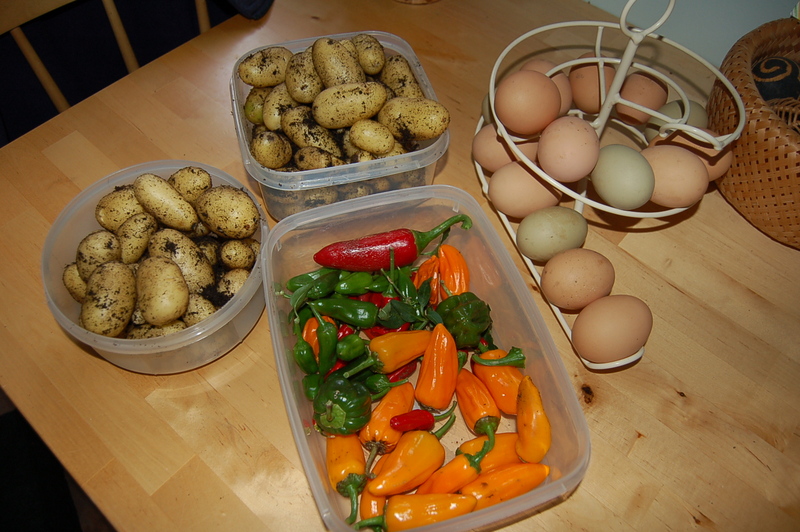 A couple of hours on the allotment harvesting and hoeing made the shortest day worthwhile. Just think from now on every day will be a little bit longer. Great!!! 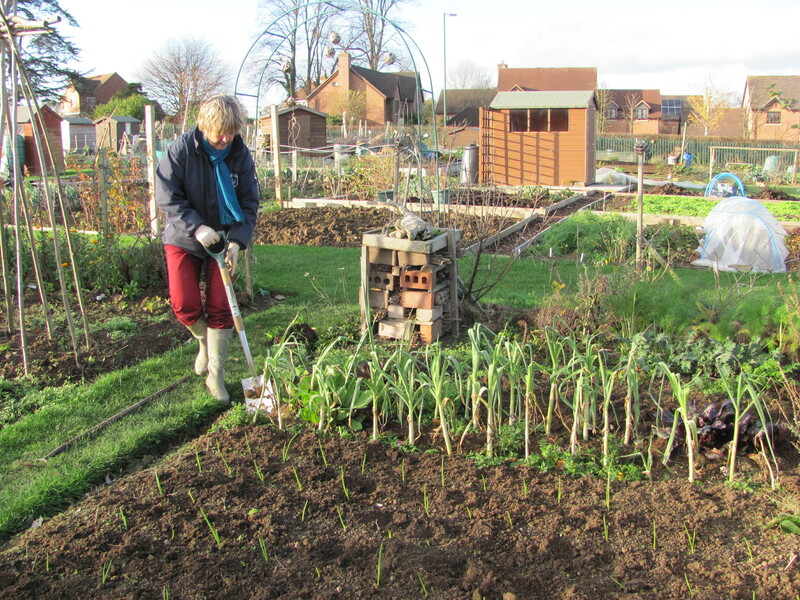 The “Undergardener” got busy with the hoe before harvesting leeks, while I dug up mooli, parsnips, swede and two roots of purple sprouts. 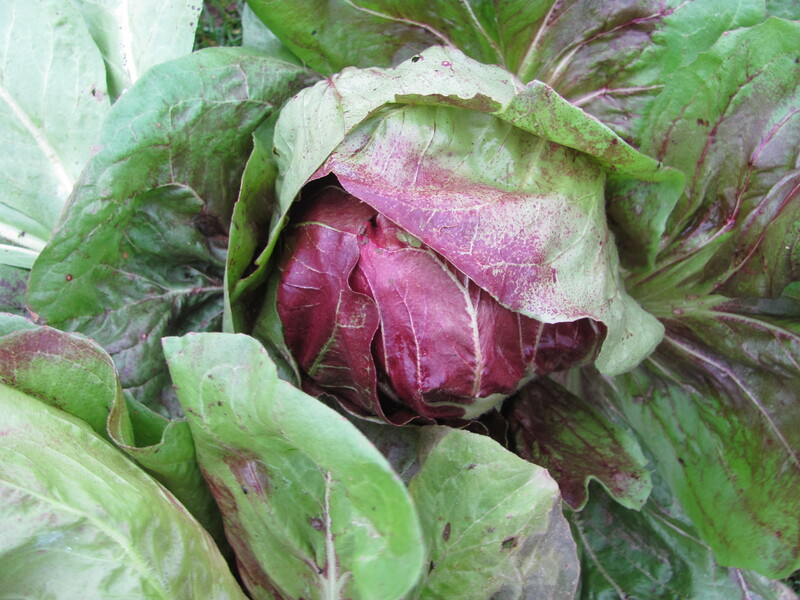 We pulled up some Florence Fennel, radicchio and chicory. The chicory will have its leaves trimmed off and the roots replanted into a deep pot with a matching pot on top for forcing. One row of parsnips produced a crop of reasonably sized roots whereas the second row we dug up produced just disappointment. Sad skinny little roots the size of my little finger! I think I shall blame the dry weather! No, I exaggerate, they are nowhere near as big as my little finger. 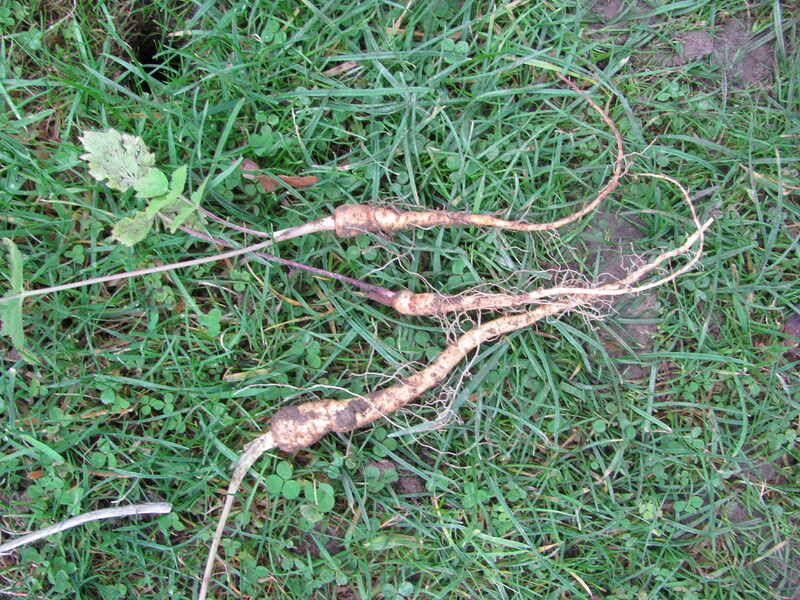 We could start a new trend – bootlace parsnips! Fennel foliage like feathery ferns treats us to a warm aniseed scent. 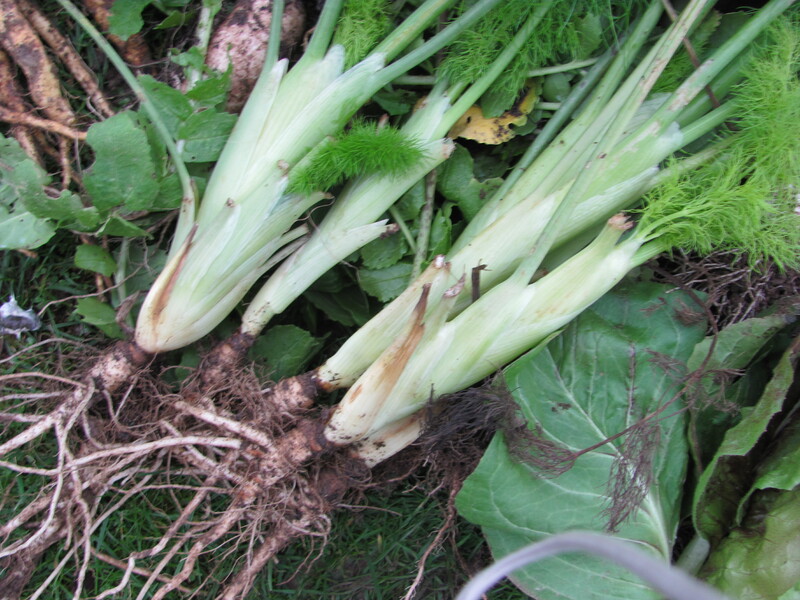 The little “bulbs”, swollen stems really will add a warming flavour to veg soups. 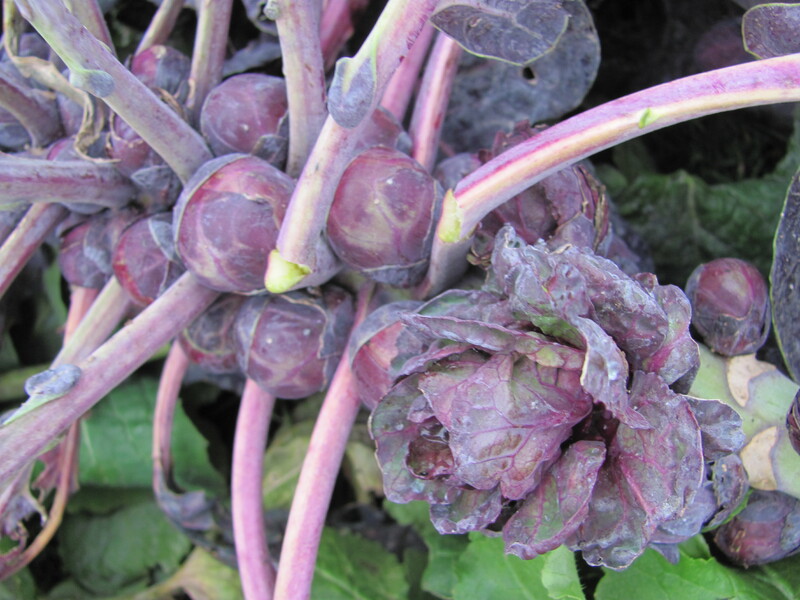 Purple sprouts taste no different but their colour gives extra interest to a winter roast. but of course the real reason we grow them is because they look so good on the lottie. 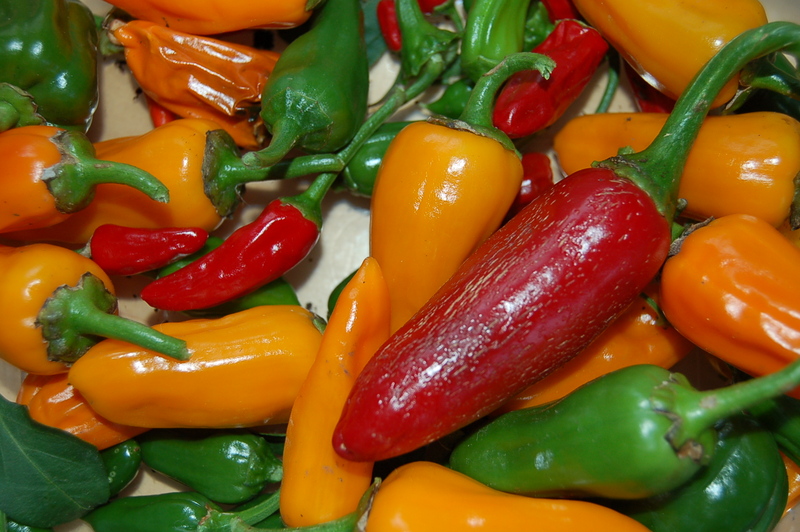 This entry was posted in allotments, fruit and veg, garden photography, gardening, grow your own and tagged chillies, florence fennel, greenhouse gardening, leeks, parsnips, potatoes, sprouts. Bookmark the permalink.